With trends such as a high rate of foreign immigrants, new leadership and policies, and sliding back to a communist mindset, it’s little wonder that Russia is putting greater pressure on the church. Eric Mock with Slavic Gospel Association (SGA) says Russia is in the process of establishing its identity. This includes the new leadership putting an emphasis on going back to Russia’s roots—roots from which communism had sprouted from in the past. As Mock sees it, a very small percentage of those who claim a Christian faith would hold to salvation by grace through faith and a literal heaven and hell. He’s finding Bible-teaching churches are limited in Russia. With such a crisis setting in for the Russian church, SGA is stepping up its game to initiate conversation about Biblical truths and train up Russian leaders who will establish biblical foundations for the church. For example, SGA recently partnered with Ken Ham’s “Answers in Genesis” to produce his “Foundations” series translated into Russian. This series presents Ham’s major talks about Biblical truths with a heavy emphasis on Genesis. It also comes with a curriculum kit that can be used as a study guide by churches and small groups. Please pray for people of Russia to understand that their hope does not rest in the government, but ultimately in the Lord. Pray that more Russian church leaders would become grounded in biblical truths and train up others to go out and spread the gospel to every corner of their country. Evangelism is an event in the process of disciple making. That seems so elementary but it is apparently not near as basic as it first appears. On a trip to Russia I am just finishing today I have been teaching on evangelism in five different cities and numerous churches and conference settings. And, it is very clear that the average believer has not given much of any though to what the Bible states is our main task – seeking and saving the lost and then discipling the new believer. Let me give you an example. In every place I have been I became the verse that states, “Go into all the world and …” leaving it for those listening to complete. It always came back wrong – most times their answer was “and preach the Gospel.” Of course, their understanding determines what they do. If they don’t feel called to preach then they can excuse themselves and say this is not their calling. Yet, when properly understood as “make disciples” no believer is excused from doing what they are told to do because as a disciple they are to reproduce and make more disciples. A proper understanding of the Great Commission is of utmost importance. The Great Commission (Matthew 28:18-20) states that we are to make disciples. It goes on to state that once you have a baby disciple they need to be baptized and then taught everything Jesus taught and commanded us (1050 commands) and that when we are about this process or walking on this journey of disciple-making He is with us. So, having someone receive the Lord is only the first of many steps that the new and true convert must take. It is simply the start of the journey through discipling, training, equipping, and mentoring. It is the beginning of a life-long journey. Every disciple is called to be walking this process and taking this journey. At the same time every disciple is commanded to be looking for others who they can share the Gospel with and win to the Lord and thus begin to disciple and move them forward in this maturing process. This process or journey until they reach both a place where they know their gifts and are ministering to other believers as well as being involved in missions and also reaching out to the lost that they know. Where do you stand – inside or outside your comfort zone? Who are you sharing Jesus with? And, who have you led to the Lord recently? Remember, we are all called to “follow Him and become fishers of men” (Matthew 4:19). First full day in Krasnoarmeisk, Russia – a city of 39,000 people with one functioning born again, Spirit-filled church which has 40 members. We are ministering for them. It is a three day engagement and we are talking about, demonstrating, and doing prophetic evangelism. It has been a fun day with a large number of people practicing prophecy as well as many receiving really decently in-depth prophetic words. The teachings were well received although we did get off to a slow start – maybe because it was Monday. The worship – powerful to say the least! The day was over when we got a call from a pastor we relate to who had moved from Kazakhstan to Russia. We will be with him and in two other cities in May of 2012… he drove an extra 200+ kilometers out of his way simply to pop in and have a cup of tea and share some fellowship. I love Rusia just for this reason – fellowship is regarded highly and people are willing to go out of their way to share some – even though, at times, briefly. He was able to stay 30 minutes. It was a great visit – see the picture. Some time ago I did a series of 15 blogs on evangelism secrets … these have become the most read blogs in both English and Russia and the ones I get the most feedback about. They can be found on the main web site under the resource section / evangelism teachings. I have been thinking of evangelism a lot recently because this is what many are requesting we teach on as we travel to minister in Eastern Europe and Central Asia. So, the start of a new series of blogs… Principles of Evangelism. Everywhere I travel to teach I find believers who have the wrong priorities. They have replaced “seek and save the lost” and “going into all the world” with something else – the main thing is no longer the main thing. So, believers need to look at their priorities and do some major readjusting. A> Abide in Christ (John 15:4-5) Which means taking the time each day to be with Him and to hear His heart. If you do this then, of course, you will evangelize because His heart is for the lost and He wants to see every person saved. Jesus said that if we abide in Him we wlll bear fruit and so we must be rooted and grounded in His love. Then we will bear fruit – souls saved. B> Love one another is the second priority (John 15:12). 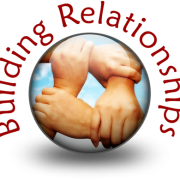 Because we are members of the same body (1 Corinthians 12) we need to be building one another up in love (Ephesians 4:15) so that the body remains healthy and thus able to reproduce. The Bible is full of countless “one another” verses because when we truly are interconnected and doing our part as a member of the body then the body is able to function in wholeness and focus on the task given to it by the Head of the body – Jesus. Evangelism is a natural expression of our relationship with Jesus Christ. If we truly love Him we obey Him and His command to “go into all the world.” And, if we know His heart then we know how much He cares for the lost and we will make His burden for the lost our burden. The truth is: the greatest obstacle to evangelism is the church that is preoccupied with its own existence. If it is self-centered and focused inward it ceases to be the church that Jesus is building and becomes man-made religion and Jesus hates religion. Instead of being picked up on Monday morning – picked up on Sunday night after a long day. Then a long drive in pouring rain into the next city – the city of Krasnoarmeisk where we are spending three days. Welcome to ministry. The schedule set out is seriously impossible and was not communicated clearly. So, on the drive here we renegotiated the schedule so I am not not teaching and prophesying 15 hours a day. Yup! That was what they were expecting. Of course, there would be two meal breaks to rest. Want to know a secret? The rest never happens as people want a prophecy, have questions they want answered or simply want to talk all through the meal, of course. My interpreter does not get an opportunity to eat or rest as he works in both languages and I don’t get an opportunity to rest as I answer questions and talk. So, we narrowed it down to 8 hours a day plus two meals – 10 hours of work if services end on time. It was to be a school with students there all day and evening. Not the case. Different audience each time. Small in the morning, better in the afternoon, large in the evening…so no continuity in the teachings and what I teach in each session must stand alone as people hearing it might not have heard the previous teachings … messes up all the planning and organizing that we did before arriving here. So, we are jumping in tomorrow literally into the unknown after a poor night sleep on the floor and in an extremely hot room … pray for us as it will be a very long Monday. Hopefully it will get better. It is time for the Church to switch paradigms and begin to take a fresh look at the way we function and why we function that way. Here’s the problem – we are born into a paradigm and this paradigm is “normal” for us and often creates a mesmerizing effect on people in its orbit. The only way to shift paradigms is through a work of the imaginationm which sees beyond the limitations of the status quo. Einstein quipped that you can’t resolve problems by using the same thinking that created those problems. But that is exactly what we have been trying to do in the Church over the past decade or more since it became obvious that the Church was in trouble and seriously ineffective. Alan Hirsch states that what is needed and what is required are acts of imagination, intuitive leaps into framing other possibilities that lead us back to the most primal expression of the Church – the apostolic genius of Jesus. I agree – we need the wisdom and guidance of the Holy Spirit as we imagine what can be and look at other possible ways of expressing God’s life through His people, the Church. And looking at the life and ministry of Jesus and the the life of Jesus expressed by the early Church as recorded in the New Testament would be a good start. I have been doing just a study like this now for three years as time allows – and it is sparce at times – and have made amazing and wonderful discoveries as I see things with new eyes. It is like new revelations from old truths and simply amazing “pearls of great price” as I let the Holy Spirit show me these truths. I am writing a book on what I have discovered as I believe my discoveries can add to the current discussion that is on-going about the new apostolic paradigm and what the Church will look like in 20 years time. It is time for a change and I believe the younger generation are the ones who will move the Church into her future as those who are in the 20s something age bracket really do believe that with God nothing is impossible and they are willing to risk everything to see what might possibly happen. I know as I work with them daily. The above picture is a young man called David – age 16 – who is on fire for God and deeply in love with Jesus and willing to do anything and go anywhere to serve Him. Let’s let the younger generation have a say in what is being decided as we imagine what can be and allow God to reveal His plans for the Church that Jesus is building. We have been “on the road” ministering now for two solid weeks. Yesterday’s slower pace has helped but today we are back in the saddle and riding hard. We are at The Salt of the World Church in Moscow city. This is our third visit to this congregation and tonight will be our fourth meeting with the leaders. We did a leaders meeting once on a overnight stop here waiting for a flight out the next morning. I feel at home here. The pastor of the Church is Alexander who is an apostle and whose life was totally changed two years ago when I prophesied over him about his calling and his future in the Kingdom. Totally changed everything. He has since, along with two other leaders we prophesied over in a similar manner and who have similar callings, begun moving their Network of 107 churches into the future and instilling an apostolic-prophetic DNA aspect into their life together. Please pray for Alexander, Vladimir, and Sergei – three wonderful men of God, all apostles, and the three leaders of this union here in Russia. I have worked with al lthree in their local situations while here as well as in a training school for their leaders. Today we are ministering to the saints in the morning service – three hours in length. I will be preaching and prophesying. Then a lunch with the leadership team (about 20 people) followed by a lengthy meeting with the leaders where they will ask questions, I will teach as guided and directed by the Holy Spirit, and we will again prophesy. A full day but not yet finished. After the metings we return to where we are staying and are picked up by the next pastor to host us and driven the 100 km or so to his church in another city where we begin teaching Monday morning for three days. As always, your prayers are greatly appreciated. I could use your prayers for continued strength as I am growing a little weary as the past two weeks have been frantic. And, please begin to pray for good weather Thursday as I fly home that day. Many thanks. God is amazing the way He opens doors. All we have to do is listen to His voice and obey what we hear. I heard God speak many years ago that my ministry would be opening up in Eastern Europe and Central Asia and that He would make a way where they was no way. And I just knew that all I had to do was listen to what He told me to do and do it – and that He would handle the rest. And He has. The work in Eastern Europe and Central Asia keeps expanding … new countries are being added (Armenia, Turkey, Kyrgyzstan, Moldova) to our travel plans along with a massive increase in our work in Russia and maintaining our work in Ukraine and Kazakhstan. New doors are opening such as having just be made a professor at Moscow Presbyterian Theological Seminary and its mother seminary in Souel, Korea. This connection will open many other doors for us in other nations as well as in Korea itself. On top of open doors it means regular work teaching the students who are training for ministry. As well it opens doors in Presbyterian seminaries in other former Soviet Union nations. A new opportunity has opened for us in Belarus where we have ministered before but not in the last 18 months due to losing our contact there. Just this week we have agreed to develop a ministry school in Armenia starting from scratch and developing it over the next several years as well as teaching in it twice a year for 2 weeks each time (spring and fall). As well, we are opening a ministry school in Moscow in April and will begin training and equipping people for the work of ministry. The United States is also beginning to open its doors to this ministry as prophesied by Denny Cramer 30 months ago. It has been an amazing journey over the last fifteen+ years and one that has really never been easy. Hard work, shortages of resources and manpower, sickness, opposition from a false apostle and a Hindu spirit, betrayal…and yet through all of it I simply trusted the prophetic words that the Lord had spoken about my life and ministry over the years. He is faithful. All we need to do is to listen and do what He tells us to do and leave the rest to Him. He is willing, He is able and He is actually eager to see His plans come to pass through us. All of this will require major changes in the way I live and work. I am aware that these increased responsibilities and new opportunities to minister in many new churches and situations will require more time away from home as well as much more preparation time while at home. The apostolic trips will need to be longer to include all the places we need to go and work that needs to be done while keeping travel costs to a minimum. These changes will impact every aspect of our ministry – staff, resources, facilities, office equipment, costs of communication while travelling… much needs to be looked at and changes need to be made. Many decisions need to be made. But, God is the One who has opened the door to these opportunities and we will simply walk through the open doors believing God and, as His word promises, “it will be done according to our faith” (Matthew 9:29). Today – Saturday – we are in another location in the city of Moscow. We moved last night after the close of the Leaders School we were teaching. It took 2 hours to drive 20 km to our new location. Today we were able to sleep in (my days have been ending after 1:00a and beginning again at 5:50a each day). The sleep was good. This morning is a time off without any meetings or discussions. For me that means emails, planning changes to future trips because of meetings held in the last few days, and writing articles for the web and a local church I work closely with. A day off – sort of. But they do say, a change is as good as a rest. We have a lunch meeting with the host pastor for this part of the trip and then two of us on the team are hoping to head out for a walk through this busy section of Moscow. We have lived in the area before so know where to head to stay safe and where a good coffee shop is. It will be good to get out and walk and simply not have to think about teaching and prophesying – or even writing and corresponding for several hours. Tonight will be a quiet night with extra time to pray and read the Word – always a bit thin on these trips. And, for me, an opportunity to decide on what the Lord would have me teach tomorrow in the morning service and then in an afternoon leaders meeting. Sunday night or Monday morning early we head to the city of Krasnoarmeisk about a one hour drive from here to begin three days of ministry … the final moving time has yet to be determined (Sunday night or Monday morning) and will be determined mostly on traffic patterns and potential traffic jams in the city as we travel to the next location. Your prayers for today and tomorrow (Sunday) are greatly appreciated. All team members arrived home safely yesterday and we appreciate you praying for them as well. Your upholding us in prayer on a daily basis is a serious blessing to all of us and we all thank you for the powerful part you are playing in this ministry and the impact we are having here.